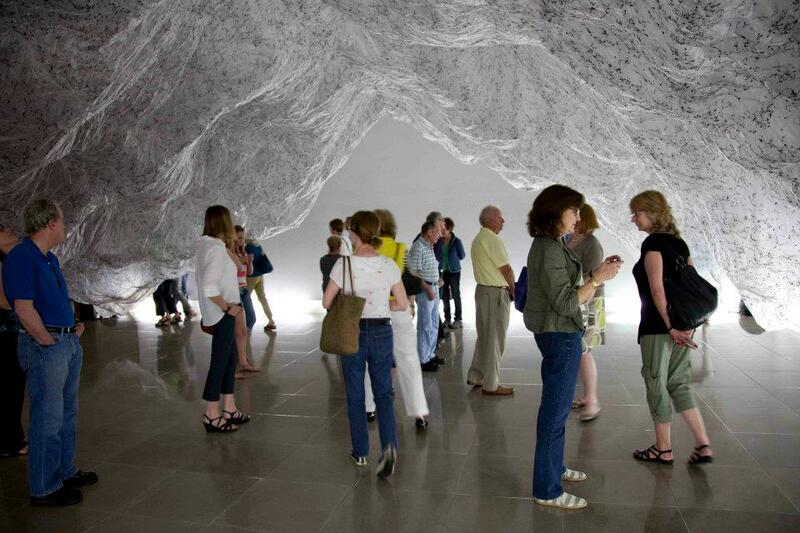 Established in 1989, LOOKING AT ART is an independent organization that provides guided tours through Houston's dynamic contemporary art scene. LOOKING AT ART enables you to get acquainted with the principal players in Houston's multi-faceted art world -- the artists, dealers, collectors and curators. In tours that are both social and informative, participants acquire knowledge about collecting, engage with artists, discover unique places, and meet stimulating people who share a love of art. Special thanks Anna Mavromatis for her photos. Victoria and Marshal Lightman have been active in the Houston art scene for over 25 years as advocates, collectors, and fund raisers. They have worked with various organizations, including Lawndale Art Center, DiverseWorks, Art Table, DIFFA, Child Advocates, Menil Collection, Rice Design Alliance, and Art League Houston; and spoken to groups about visual arts in Texas, including the Houston Leadership Forum and the Texas Lyceum. They conceived and chaired the first two Hair Balls for Lawndale. 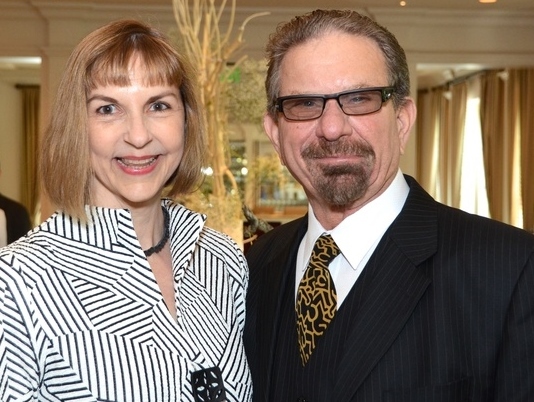 The Lightmans were honored to be named ​Art League Houston's 2011 Patrons of the Year. Victoria served on the Texas Commission for the Arts (2002-2007) and chaired the commission from 2005 until 2007; the board of the Cultural Arts Council Houston/Harris County (2003-2006); the board of the Houston Center for Contemporary Craft (2009-2016, 2017-) where she was board president for two years. She currently serves on the advisory boards for Gulf Coast Magazine and Inprint. Victoria has written for Museum and Arts Magazine, ArtNews, Sculpture Magazine, Art Lies, Houston Chronicle, Canvas Magazine as well as catalog essays for artists John Henry and Frank Martin. Victoria has served as juror for the Hunting Prize, Grass Roots Art in Action, Houston Area Fiber Artists, and has curated exhibitions for the Art League Houston and the Houston Fine Arts Fair. Marshal served as president of the Houston Arts Alliance from 2010 to 2012. He currently serves on the HAA Advisory Board, HAA Civic Art Committee, and the Core Fellow Committee at MFAH. In 2012, he received the Mayor's Volunteer Houston Award. Marshal was vice president and regional controller of Gilbane Building Company until he retired in 2014. Marshal and Victoria Lightman are co-founders of LOOKING AT ART, a “non-profitable” project that fosters dialogue about contemporary art in Texas.